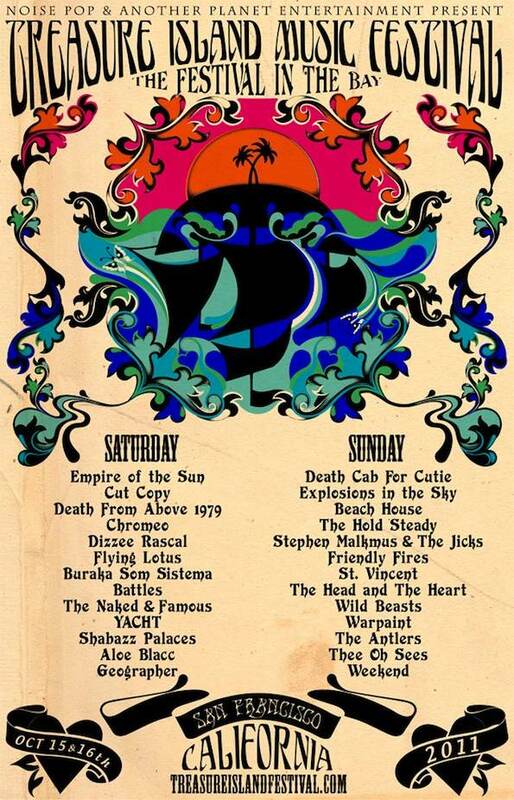 UPDATE: 2011 Treasure Island Music Festival Announced. Playlist, anyone? By now you've heard the rampant whisperings and tried in vain to confirm the truth on the Treasure Island Music Festival website, only to be slapped in the face by a “403 forbidden” error message. Yes, people, the fifth installment is big net news. So much so, that it crashed the TIMF website. Don't fret, we've got the 415, err, 411, and some tunes to get you in the mood. —UPDATE (originally posted 7/26/11— Added a playlist for easy listening.